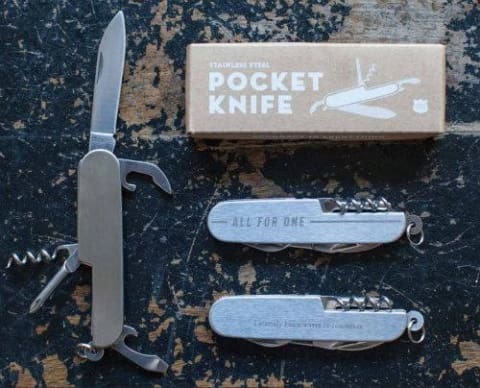 Izola Pocket Knives with a 2.25 inch blade and made from 100% stainless steel, have four useful tools - a corkscrew, large blade, bottle and can opener and screwdriver. Be prepared for anything with stainless steel multi-tools. Izola multi-tools come in two styles.